These are SO simple and easy to prep for the week! 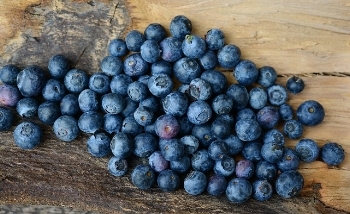 Blueberries and yogurt are both sweet foods that your kiddo will not be able to resist. Use this snack as an alternative to candy and avoid those unhealthy processed sugars. Store in the freezer for a later time or munch on these right away! This snack will last you for an entire week, giving you the option to plan ahead. These "cookies" are seriously addicting, you'll find yourself snacking on a few before your kids get the chance! Add these to any lunch for extra fruit and protein sources. 2. Sprinkle with chocolate chips and any other toppings that you prefer! You can add fruit, coconut shavings, or honey for extra flavor. Avoid those fast food chains and make this yummy side at home! Kids won't even know the difference.